US stocks climbed to a record high, as an expanding economy and surging earnings erased a six-month drought in which stocks tumbled into a correction and price volatility briefly tripled. The dollar retreated as investors speculated the Trump administration would ease trade tensions with China. The S&P 500 Index rose 0.6pc to an all-time high, marking another milestone in a nine-year bull run that’s by some measures now tied for the longest in history. 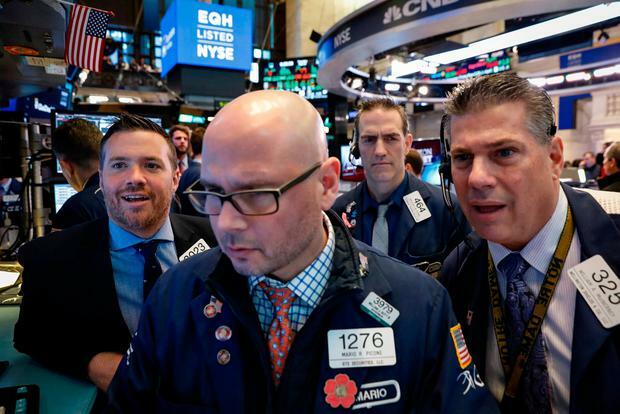 Stocks have been buoyed by a surging American economy, with gross domestic product expanding at the fastest pace in four years during the April-June period and corporate America posting two quarters of 20pc profit increases. While it took half a year, the recovery rewarded equity investors who held on in the face of turbulent bond yields, Federal Reserve rate hikes and President Donald Trump’s global tariff war. US shares rose yesterday amid signs that low-level talks between Chinese and American trade representatives may lead to some cooling of rhetoric on the months-long spat. The Trump administration plans to slap tariffs on $16bn of goods on the same day and China is poised to retaliate. In Dublin the Iseq index of Irish shares was little-changed, rising 0.14pc to 6735.54. Aryzta was the top performer in rising over 6pc – but is still down almost 70pc this year.